Thomas Wood | Blog | The Graphic Design Related Blog of Thomas Wood. 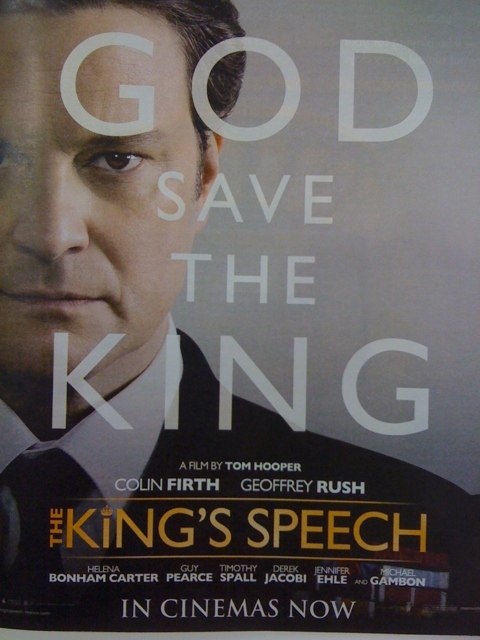 if you haven’t seen the kings speech yet, i strongly suggest that you do before it exits our cinemas. i was lucky enough to see it a couple of weeks ago and went in thinking ‘this is probably going to be overrated’. as it turned i left saying ‘that was brilliant’. if you get chance it’s definitely worth checking out!